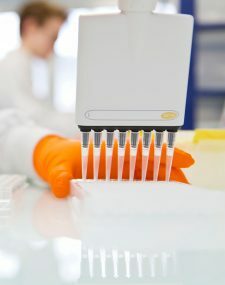 For gene and cell therapy treatments and antibodies based treatment approaches; GenoSafe has unique expertise in the quality control of preclinical and clinical batches. Our research managers work in close collaboration with the Quality Assurance department to be able to provide a Certificate of Analysis. We advise and assist our clients in fulfilling their testing needs (in accordance with the European Pharmacopoeia and the FDA/USP guidelines) including the development of specific assays that address challenges encountered during the the design and production of their therapeutic products. We’ll foster a flexible approach and open communication with you and the product manufacturer (whether based in Europe or in the USA).